Critically Endangered, facing an extremely high risk of extinction; and five species are Vulnerable, facing a high risk of extinction. There is not much information on many Indonesian species. Many species have declined in numbers due to the clearing of forests and woodlands for farming and habitation by humans and to the destruction of their habitat in other ways. 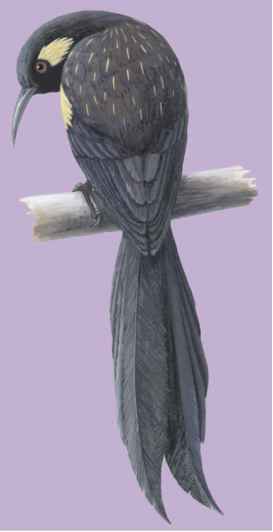 Physical characteristics: Bishop's oos have a smoky black neck, back, and underparts with narrow white shaft lines on the feathers. The wings and tail are black. Males have a long, graduated tail with yellow feathers on the wing, neck, and tail coverts (small feathers around quill base). At the ear coverts, undertail, and axillary are clumps of golden feathers. They are about 12 inches (31 centimeters) long. 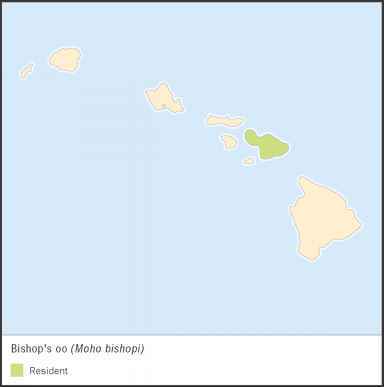 Geographic range: Bishop's oos are found on the island of Maui in the Hawaiian Islands. 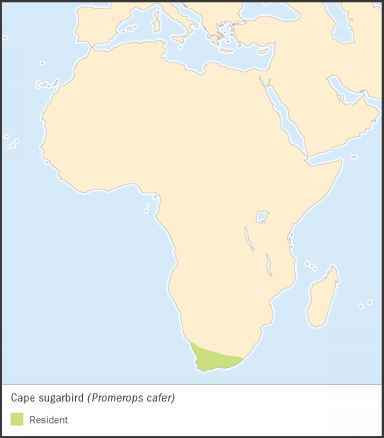 Habitat: They inhabit dense rainforests in mountains. Diet: They eat nectar from lobelia flowers (plants with two-lipped blue, red, or white flowers), but also eat insects from the forest's upper canopy. 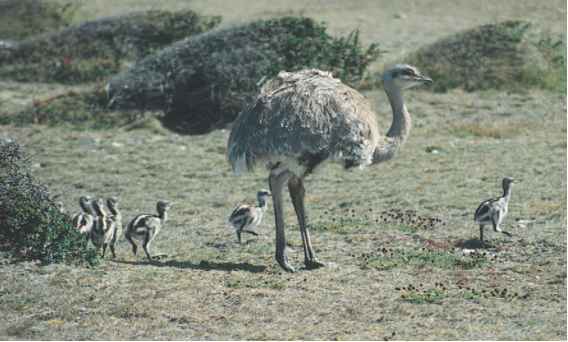 Behavior and reproduction: Bishop's oos are curious birds, but are also timid. They have a very loud call "owow, owow-ow." The long tail and yellow feathers on the male's wing, neck, and tail coverts are used to attract females. Reproductive activities are not known, other than it is believed that they build hollow nests. Bishop's oos and people: Native Hawaiians have caught Bishop's oos for their yellow plumes, which were used for ceremonial cloaks.